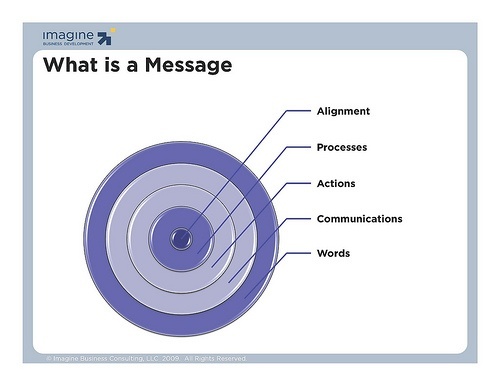 As more and more companies are looking to transform their business to deal with the new realities, I am getting far more questions about messaging strategies. I'm also seeing strong small and mid-size companies (SMEs) struggle with what it means to develop a powerful message. Too often, however, the focus is on the words alone. Be it taglines, slogans, or elevator speeches - there is nothing any company can say that makes them different or better. There are, however, many things you can do. This morning I was discussing this very topic with a great client in the midwest. I'd like you to hear what I shared with them.